Tweet Tweet !! Twitter ! We are now live on Twitter !! Follow us and we’ll follow back, another way to keep in the loop with all things BATS. 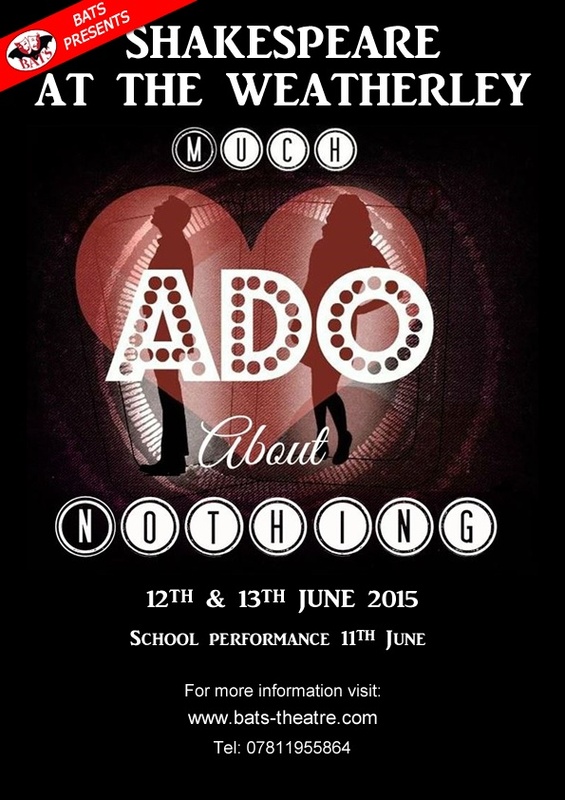 Much Ado About Something ? So here we are, cracking on with rehearsals for our next show. Much Ado About Nothing ! With rehearsals well underway we have our characters cast and our directors ready ! Be sure to keep the 12th and 13th of June free. 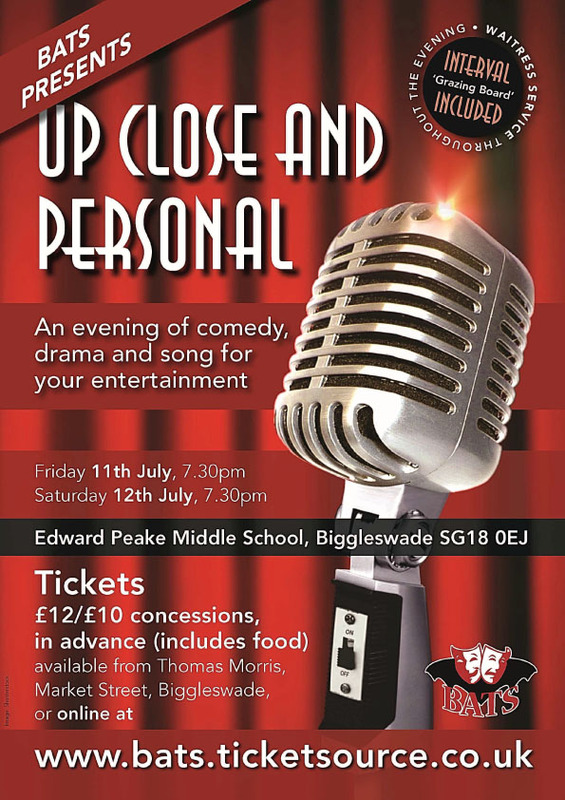 Because you’ll be heading out for an evenin g of laughs down at The Weatherley to see a modern interpretation of Shakespeare’s most famous comedy ! A fun filled comedy full of dramatic twists. Will we see Benedick and Beatrice fall for each other, and will Claudio ever get his Hero ? With a talented cast it’s set to be the show of the summer. Keep up to date with the rehearsal process, here on our website. You’ll be able to meet our cast, get to know and understand a little bit more of Shakespeare and catch sneaky clips of our rehearsal processes. So make sure you keep visiting us here on our website, and spread the word, make sure you don’t miss out on this summers production !! 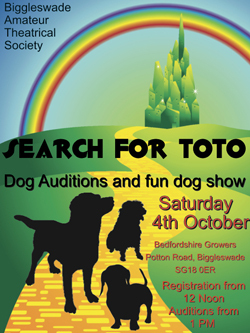 To help us find a very special doggy actor, BATS held the Search for Toto event in October. The co-directors Katy and Adela, with the help of local dog behaviourist Malcolm Johnson, had the tough job of choosing from a great group of very clever dogs, but finally chose the brilliant Robbie. 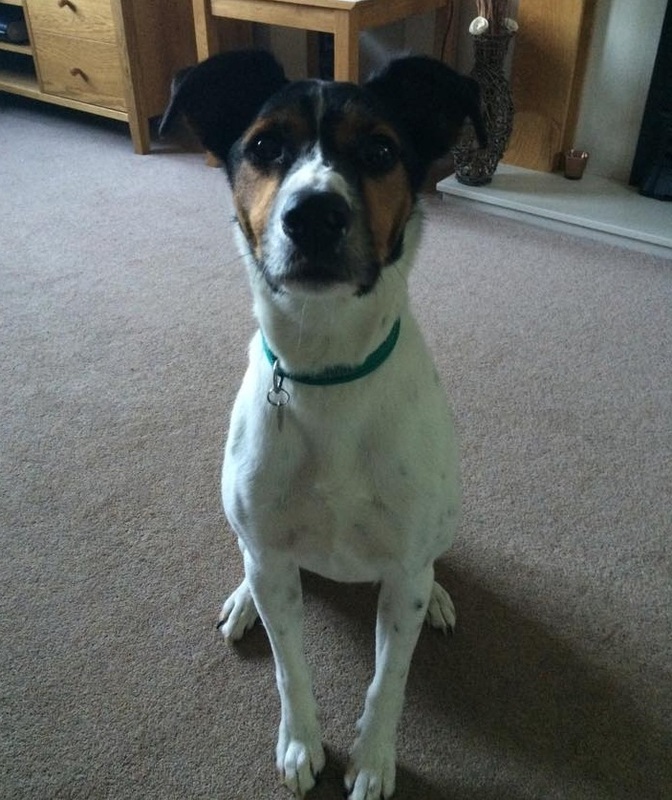 Robbie lives in Flitwick with his owner Megan Molloy and has been regularly attending rehearsals to get to know his part and make friends with the cast – we know he’s going to be an amazing addition to the show. Wizard of Oz Tickets on Sale! When it’s cold and wet outside… why not go ‘Somewhere over the rainbow’? 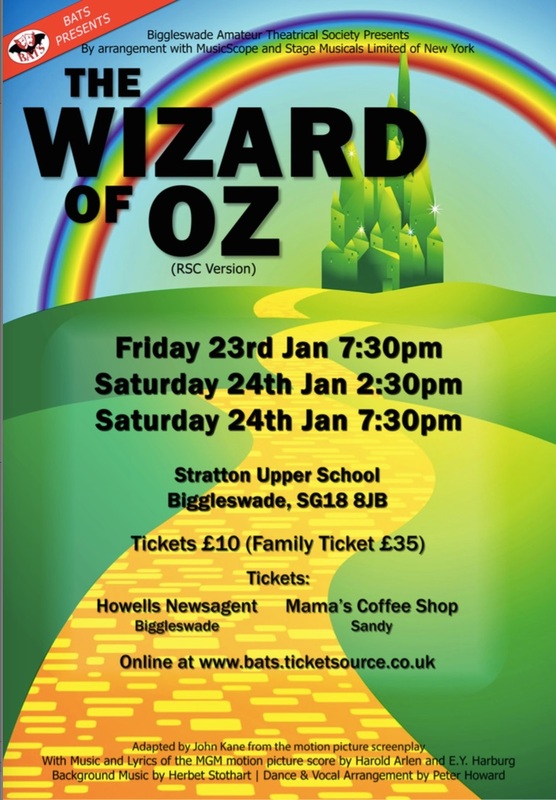 BATS (Biggleswade Amateur Theatrical Society) will be performing The Wizard of Oz at Stratton Upper School, Biggleswade on Friday 23rd January 7.30pm and Saturday 24thJanuary 2.30pm/7.30pm. This production is the wonderful stage musical version of the well-loved film, complete with famous songs, characters and a real Toto! Seating is numbered, so buy now to get the best choice of seats. A great Christmas present idea to brighten up someone’s January. Tickets are available from www.ticketsource.co.uk/bats or from Howells Newsagents, Hitchin Street, Biggleswade and Mama’s Café, High Street, Sandy. Tickets are £10 each or £35 for a family ticket (4). The Search for ‘Toto’ is on! Does your dog love being in the limelight? Could they be our Toto? BATS (Biggleswade Amateur Theatrical Society) is seeking a dog to star as ‘Toto’ in ‘The Wizard of Oz’ to be performed on 23rd and 24th January, 2015 at Stratton Upper School, Biggleswade. ‘Toto’ will need to be comfortable with noise and lights and obey simple stage directions. 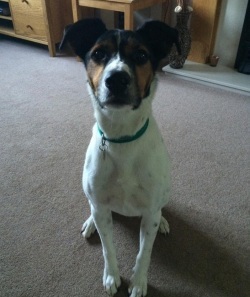 All breeds will be considered, large or small – we’re looking for a dog with that special something! 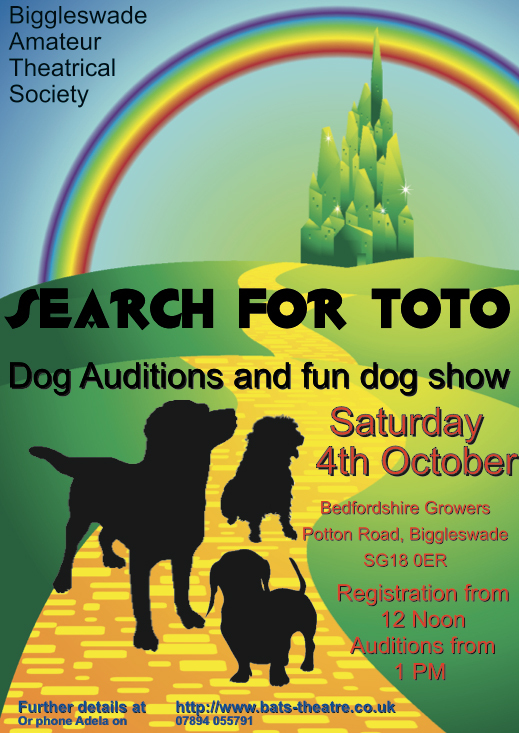 BATS are excited to be holding their first ever doggy audition on Saturday 4th October at Bedfordshire Growers, Potton Road, Biggleswade. Registration is from 12noon with the audition starting at 1pm, with a £5 registration fee for each budding star! Local expert dog trainer and behaviourist, Malcolm Johnson, will be helping to host the event and run the audition exercises; these will look at skills such as recall, sit/stay and walking calmly alongside. There will also be fun competitions such as Waggiest Tail, Best Trick and Most Adorable, with just a £2 registration fee per category. Choosing their dream Toto will be Alistair Burt, MP for North East Bedfordshire, the show directors Katy Gardiner and Adela Kerr and dog behaviourist Malcolm Johnson. 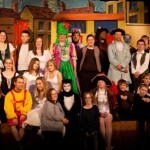 Biggleswade Amateur Theatrical Society (BATS) was formed in 1984 and is celebrating 30 years of panto, musicals, comedy and drama in 2014. The society currently has 30+ members, including a strong junior BATS team with the youngest being just eight years old. BATS meet each Monday evening at the Methodist Church in Biggleswade and warmly welcomes newcomers, whether for the backstage/production team or as stage performers. MON 4TH – 7:30pm – Film Night. 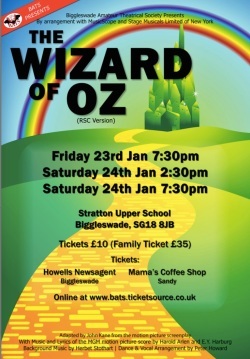 Come and have a fun evening watching a Sing a long version of Wizard of Oz. Refreshments available in the interval. Arrive early as the film starts at 7:30pm. WED 6TH – 8:00pm – Wizard of Oz Production Meeting. If anyone is interested in being part of the production team in any way, shape or form, then please come along. All are welcome. MON 11TH – 7:30pm – Drama/Movement Workshop. General acting skills and some script from the show. Dance Workshop. General group dance skills. A fun way to learn new techniques. WED 13TH – 8:00pm – Sing for fun. Learn new songs (some from our new show) and have fun. MON 18TH – 8:00pm – Sing for fun. As above. WED 20TH – 8:00pm – St. Andrews Rehearsals. We have been asked to do a small 20 minute performance in September. This will be to rehearse our program for that day. More info on date/time of performance and the program to follow soon. Everybody welcome. MON 25TH – BANK HOLIDAY. NO REHEARSALS. WED 27TH – 8:00pm – St. Andrews Rehearsals. As above. MON 1ST SEP – 7:30pm – WIZARD OF OZ – First group read through of script. 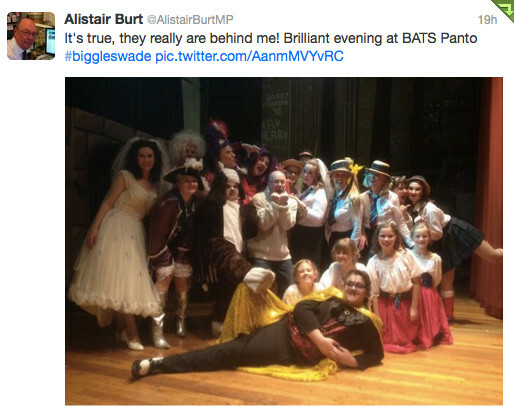 BATS Panto in Government Scare!! 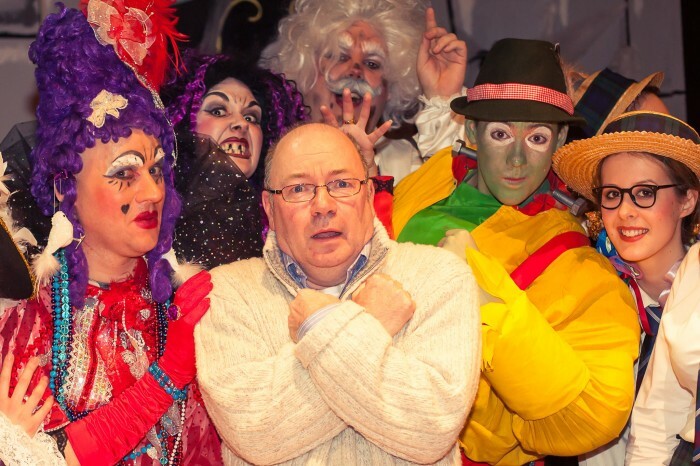 BATS are celebrating another successful Panto season – Frankenstein the Panto was very well received by audiences across the weekend and deservedly so. Audiences young and old were captured by the talent of the BATS member’s performances. One famous face in the audience for the final Saturday night performance was local MP Alistair Birt, who thoroughly enjoyed his evening’s entertainment, and afterwards met the cast. 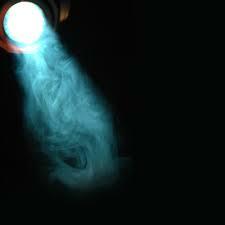 So with this kind of publicity, the sky is the limit for future productions – why not be a part of it? 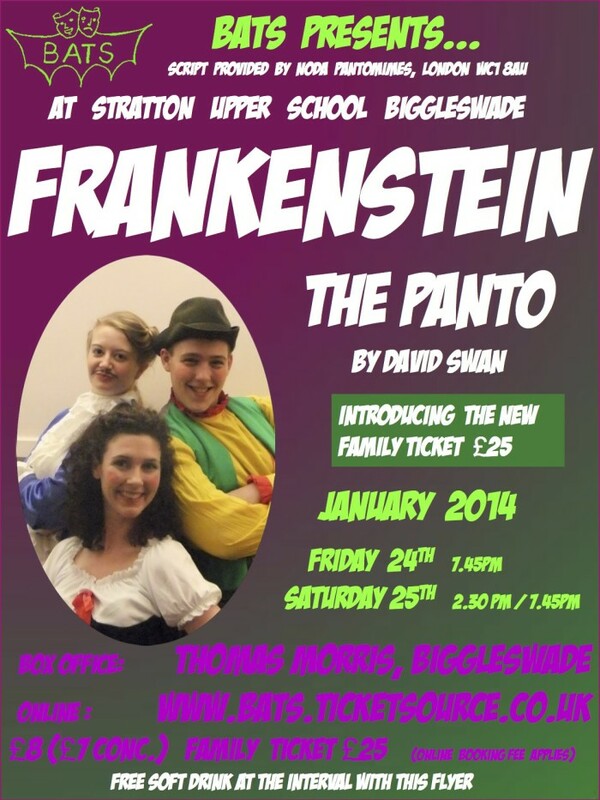 Here is the flyer for our 2014 pantomime Frankenstein the Panto!! Print this out, bring it to the bar at the interval and get a free soft drink!! Welcome to the new BATS website. This includes links to our latest productions, joining information and even online booking of tickets. It contains a member’s forum and archives of old plays.